If you’re considering paving or repaving your driveway in Hershey, you’ve likely already heard horror stories about how expensive this or that project can be, or about the aftermath of dealing with a fly-by-night contractor whose corner-cutting turns your driveway into a cracked, uneven money pit. Thankfully, the process of pricing out how much does it cost to pave your driveway doesn’t need to be difficult – by choosing the type of work that you want and can afford and then carefully choosing a contractor, you can ensure that your driveway project comes in on budget and maintenance-free for years to come. So if you are looking to get a ballpark estimate on how much it will cost to pave driveway or parking we can help give you a good idea here. 1st of all please note that asphalt is substantially cheaper than concrete. 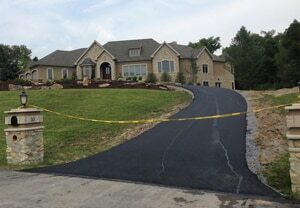 Asphalt driveway paving in York PA is close to 1/3 of the cost of concrete. How Much Does Paving A Driveway Cost? If you’re asking yourself, “how much to repave a driveway or pave a driveway?” the first decision to be made is what type of material to use. Asphalt is typically only a third of the cost of concrete paving cost when installed by professional asphalt driveway contractors, and can last for a very long time if the stone base beneath it is properly laid. There are two ways that this can be done. Both require the removal of any existing paving driveways material as well as the base material beneath it. The most economical way begins with a stone base followed by three inches of an asphalt surface material called ID2. For a more durable (albeit more expensive) paved surface, we can install a deep six inch stone base followed by a two-inch layer of binder material and then one and a half inches of ID2 surface material. The first method is quite economical at approximately $2.50 per square foot, and the more durable insulation comes in at $3.50 (but can last up to 20 years). 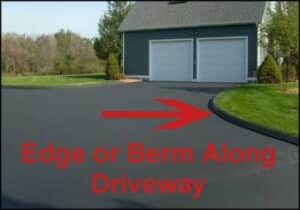 If you don’t want to go to the trouble of remediating the base material just yet, the rough driveway can be re-surfaced for approximately $1.50. That should clear up any questions about the cost to pave driveway per square foot. Just know that if you are working with a contractor, they’re going to price strictly off of the square foot. 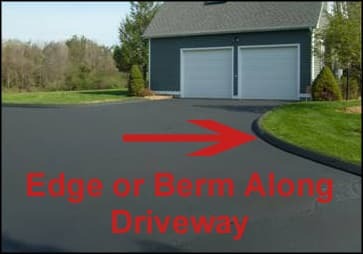 On average someone could be charged anywhere between $2,300 and $10,300 to install an asphalt driveway in York or Harrisburg PA. With that being said be sure to save accordingly so there aren’t any surprises when reaching out to a paving company. We would install 6 inches of stone 2 inches of the binder, which is a binder course and 1 1/2 inch of the smooth stuff which is called the ID2 top. This ranges about $3.50 a square foot for everything. Basically, we would cut out in front of your garage. Then add 2 inches on top of your entire driveway. Then as we meet your garage we would use the cut out to bring it to level with your garage. This costs about $1.50 per square foot. On the extremely economical end of things, or if the driveway’s looks are secondary to its functionality, there are less expensive options for keeping your wheels out of the mud. While gorgeous, clean white rock laid over top of railroad ballast has a certain rustic charm, it’s not much cheaper than asphalt. If you’re not picky about the look of your economy driveway, however, it is possible to lay down grated asphalt for a fraction of the cost. Truckloads of this material can be had for the cost of transporting it, or even free if you’re willing to haggle – when old asphalt is removed from a paved area by our contractors, the old material serves as an excellent aggregate material for producing a hard (if not entirely smooth) surface for your vehicle to drive or park on. Keep an eye out for parking lot renovations and try your luck; it could save you thousands. On the other, far end of the spectrum, concrete makes a solid and permanent driveway material that will last indefinitely with no maintenance provided the base is properly laid and compacted (and it doesn’t need to be re-sealed every 3-5 years like asphalt). The catch, of course, is that it is priced accordingly. The average concrete driveway installation in Hershey costs approximately $4000 (based on an average driveway size of 16’x40′ or 640ft 2); double that if a hydronic heating system is installed. While this is cheaper than installing brick pavers, which can cost up to $20 per square foot, it still brings the cost to around $6 per square foot on the low end or twice that where labor or materials are more expensive. How Much Does Driveway Paving Cost Per Square Foot? A more detailed cost breakdown for the Hershey area looks like this: removal of the old material can cost $0.50 to $1.50 per square foot, depending on accessibility and disposal of the old material. If your driveway is new, you’ll instead pay for the excavation – driveway slabs are 4″ thick, and the base material may be thicker still – and this can cost $1.50 per square foot as well. You’ll pay just over $1.00 per square foot for consumables and site supplies, including forms, stakes and daily rates for specialty tools like floats and rebar cutting equipment. Labour can cost up to $5.50 per square foot on its own, and the concrete pour will run you between $2 and $3.50 per square foot after that. That’s in the ballpark of $10 per square foot for a professionally installed concrete driveway – some contractors may be able to work for cheaper but tread very carefully as trying to save money on something as unforgiving as concrete can cost you more than it’s worth. You may also be able to save money on your driveway by working together with your neighbors – contractors may be willing to come down in price if there are several driveways’ work in a single bid. This is a great option for residents in Harrisburg and York. 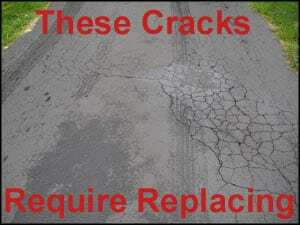 If there are a lot of cracks or it is rutted out or there are dips in the driveway. That means the base is bad. We will then need to rip it out and install a new stone base to give a solid starting point. We understand most people want the lowest cost. Even to at least have confidence you are getting good value for the money your spending. As any local driveway contractors will tell you, you can get the most bang for your buck out of residential asphalt paving if you’re not ready to invest in installing concrete pavement. On the cheap end of things, a gravel paving may save you money and aggravation in the short term. 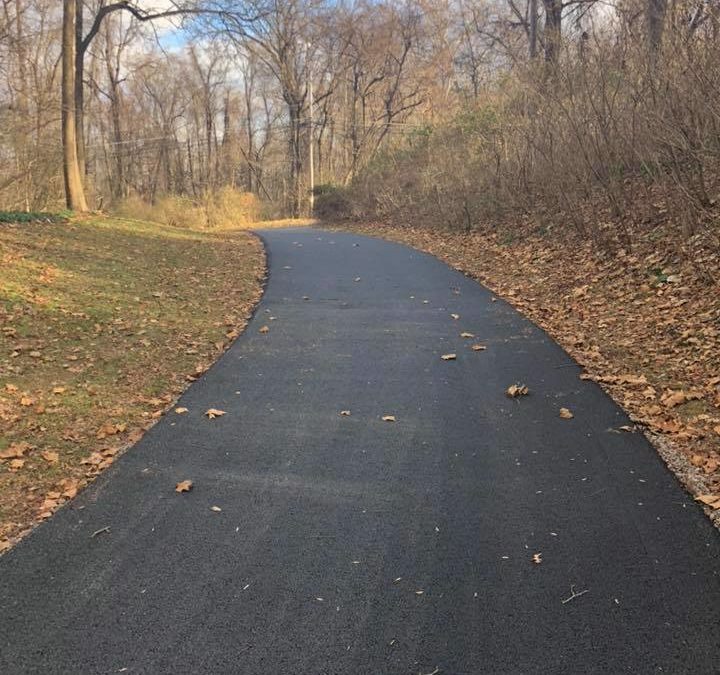 It will add cost to the installation of a more permanent material afterward as it will need to be removed and hauled away before the asphalt or concrete can be installed. 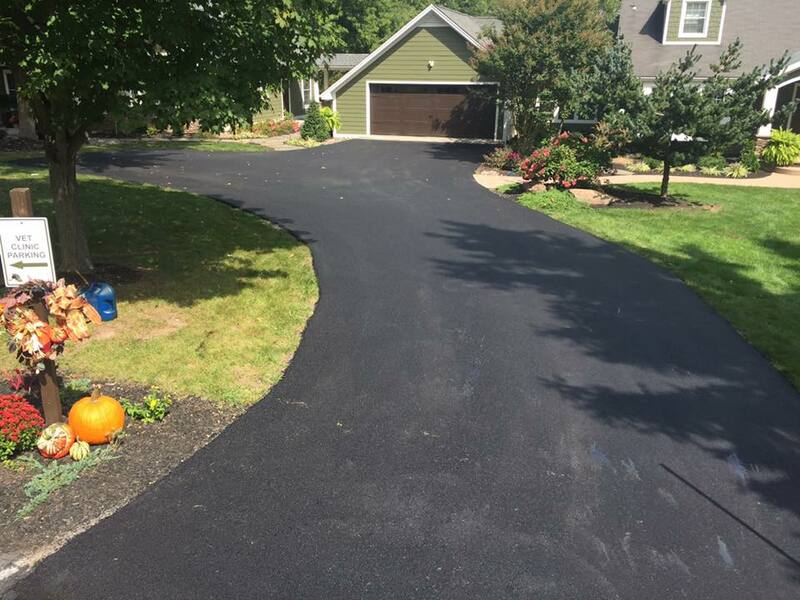 An asphalt driveway will last considerably without requiring significant maintenance, and it can very easily be repaired or resurfaced. It is important to remember that concrete does not bond to itself once cured; the only asphalt can be repaired without removing the old material to install the new. The Concrete Driveway Calculator allows you to visualize your pavement on Google Maps and generates measurements and a material takeoff on the fly, with modifiers for concrete depth and a variety of different materials. It’s no substitute for an estimate from a professional, but may help you decide what material and installation are within your budget before you contact your local asphalt contractors. Berms around the edges – 4-6 inch berms are mainly for cosmetic reasons, sometimes to help channel water runoff. Of to put around flower beds. That runs $200-500 extra. We can also add storm drains in if necessary, although this is normally in a commercial application. If the pavement slopes toward the garage we will install a french drain. Or in some townships or boroughs, they may require you to control the water run off your property generates. And you may need to install a french drain before your pavement meets the road. For a french drain installed in front of a two car garage costs about $600-700. That includes the rip out with the drain installed, the whole 9 yards. The asphalt would be level with the drain and there will not be a bump. Basketball Court or Tennis Court – We would rip it all out, install stone and pave. This costs about $2.50 a square foot. We pave inside pole barns. Instead of doing concrete floors we do asphalt floors. We try to get our machines in the barn, but when we can not we will do the job by hand. We have special hand tools to allow us to do the job. Willies Paving has the best driveway paving York PA and Harrisburg PA has to offer. If you don’t believe us then see for yourself. Of course, each job has its own set of variables that influence the price. Give us a call or use our contact form and we will be happy to get you a quote tailored to your exact needs.